Volvo announced they received their largest order for electric busses so far. Tide Buss ordered 25 fully electric Volvo 7900 buses to be used in the Norwegian city of Trondheim. AtB, the public transportation administration company in Trondheim, was one of the first in Europe to order hybrid buses from Volvo back in 2010. Now, with the new purchase, Tide Buss will have a total of 35 electric buses – making it the largest fleet of electric buses in Norway. Starting in 2019, Volvo’s 7900 buses will be used on four different routes in Trondheim, ranging from 7.5 to 9.5 miles each. The Volvo 7900 electric buses will be fast charged at the various bus stops along the way. The energy will be stored in four water-cooled, high-capacity, 19kWh Lithium-Ion batteries for a total of 76kWh. Significantly less than the buses from Proterra and BYD, which use respectively 257kWh and 324kWh battery packs. 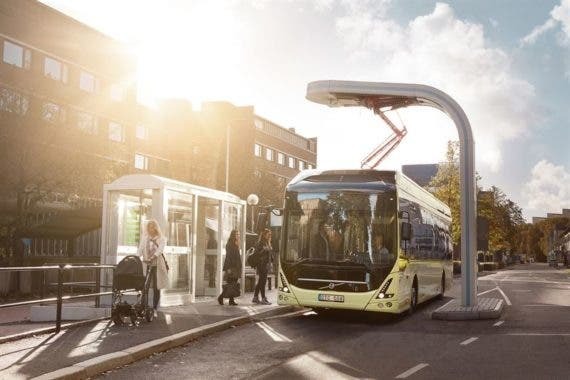 The Volvo buses will be used on shorter, mostly inner-city routes where every bus stop is supplied with a fast-charging station, that can fully replenish the batteries within 6 minutes. Even though this smaller battery pack approach would not work for longer suburban routes, the benefit is that Volvo can maximize interior space and passenger capacity on their fully-electric 7900 buses. The charging stations are based on an open interface platform known as OppCharge. This means that electric buses from other manufacturers can use the same infrastructure. The charging stations use renewable energy only, effectively making the buses one hundred percent emissions-free. Compared to regular diesel-powered buses, the new fully electric Volvo buses use 80% less energy. Volvo takes care of all the vehicle and battery maintenance at a monthly fixed cost. In total, the company has sold more than 3600 electrified Volvo buses globally. The newest version of Volvo’s 7900 EV offers 125 miles of driving on a full charge. That’s a full shift of driving- which can be extended even further if Volvo’s existing wireless charging pads are installed at roadways and stops. 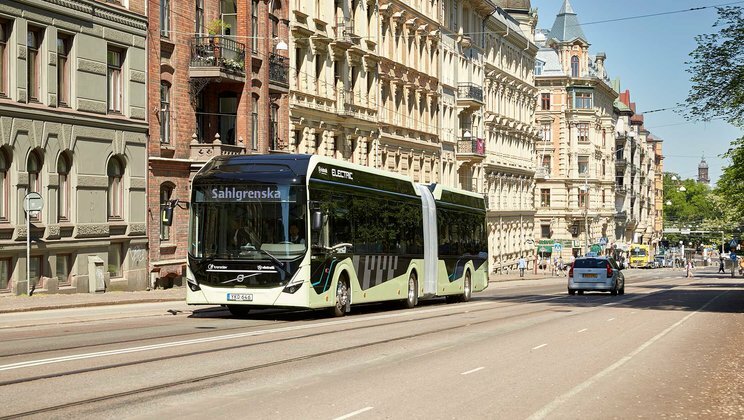 Volvo Buses has secured an order of six Volvo 7900 Electric buses from public transportation administration company Brakar in Drammen, Norway. Public transportation administration company Brakan in Drammen, south-west of Oslo, has ordered six fully electric buses from Volvo. The buses will be delivered in January 2019 and operate on route 51 between Drammen and Mjöndalen, a route of approximately 12 km. 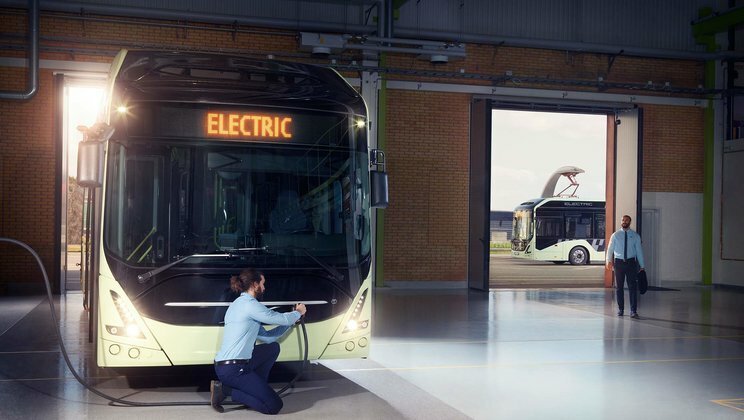 The fully electric buses are being sold as a complete turnkey package whereby Volvo takes care of all vehicle and battery maintenance at a fixed monthly cost. The buses will be fast-charged using opportunity charging at the end stops. The charging stations have already been delivered by Siemens. They are based on a common interface known as OppCharge, which means they can be used by other electrified bus makes too. The buses will run on renewable energy. Energy consumption for Volvo’s electric buses is about 80 per cent lower than for corresponding diesel buses. 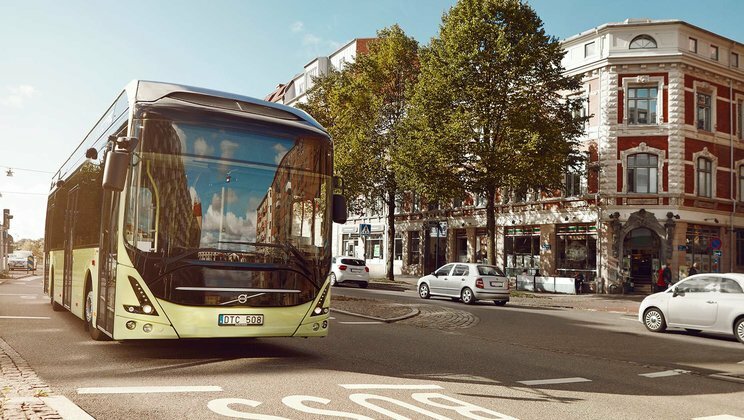 Volvo’s fully electric buses have previously been ordered by cities such as Trondheim (Norway), Malmö (Sweden), Differdange (Luxemburg), Harrogate (UK) and Inowroclaw (Poland). In addition to the fully electric Volvo 7900 Electric, the Volvo Buses range of electrified vehicles includes hybrid models and electric hybrids (plug-in hybrids). 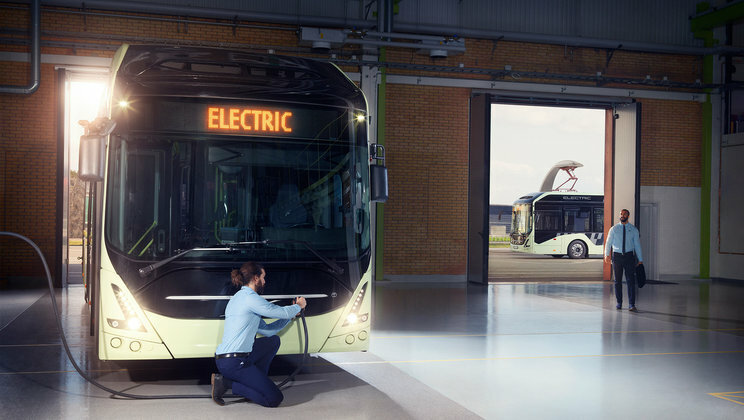 In total the company has sold more than 4,000 electrified Volvo buses globally. Volvo Buses has received an order for four Volvo 7900 Electric buses from Aarhus in Denmark. These are the first all-electric buses to operate in Aarhus. The order for the four Volvo electric buses comes from public-transport provider Busselskabet Aarhus Sporveje in Aarhus. The vehicles, which will enter traffic in August 2019, will operate on route 13 in central Aarhus, covering 15 kilometres each way. The bus batteries will be topped up using opportunity charging via an overhead pylon at one of the end stations. The 300 kW charging station will be supplied by ABB. It is based on an open interface known as OppCharge, which means it can be used by electrified buses from other manufacturers too. The buses will also be charged via two 50 kW depot chargers. 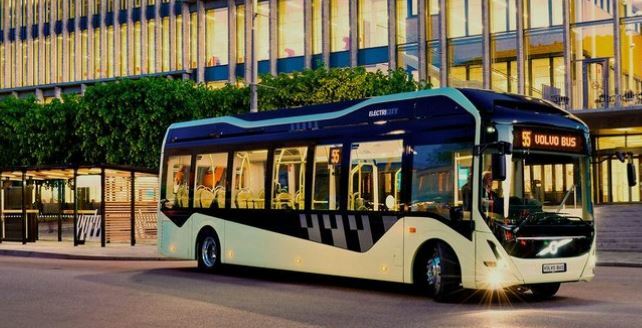 “It’s great that Volvo has been asked to deliver the very first electric buses to Aarhus. More and more cities are choosing to transition to electric buses. 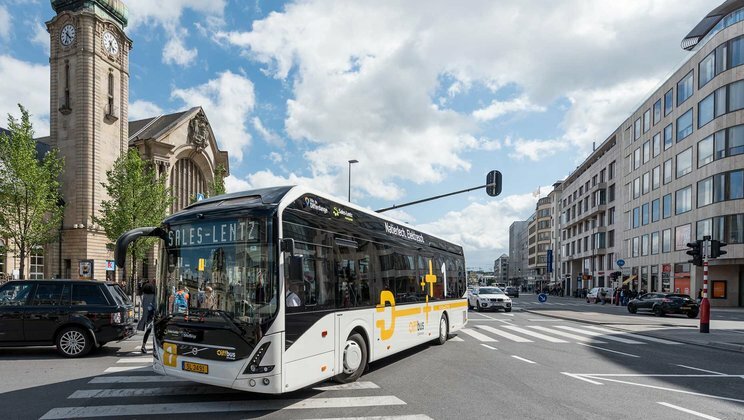 Running buses on electricity is the most energy-efficient solution and contributes to a far better quality of life for everyone who lives, travels and spends time in the city,” says Jens Ommen, President Volvo Buses Denmark. Volvo and Busselskabet Aarhus Sporveje will together handle service and maintenance for the buses. Energy consumption for Volvo’s electric buses is about 80 per cent lower than for corresponding diesel buses. Volvo’s electrically propelled buses have already been sold to cities in countries such as Sweden, Norway, the UK, Luxemburg and Poland. In addition to the all-electric Volvo 7900 Electric, the Volvo Buses range of electrified vehicles encompasses hybrid buses and electric hybrid buses (plug-in hybrids). All told the company has sold more than 4000 electrified Volvo buses globally. Volvo Buses has announced a few new electric bus contracts, for a total of 23 electric buses. The electric bus in demand is the Volvo 7900. It will be going to the Dutch public transportation company Arriva in the city of Leiden. Dutch public transport company Arriva operates throughout Europe and is a key player in alternative propulsion tech. It was among the first in Europe to order hybrid buses from Volvo Buses, according to the press release. Seven years later, it made an order for 23 new Volvo 7900 e-buses (this past June) — yes, not the quickest ramp up in adoption, but more than most. Technically, the new Volvo 7900 e-buses have 200 kWh battery packs. Deliveries are estimated between Q1 and Q3 in 2019. 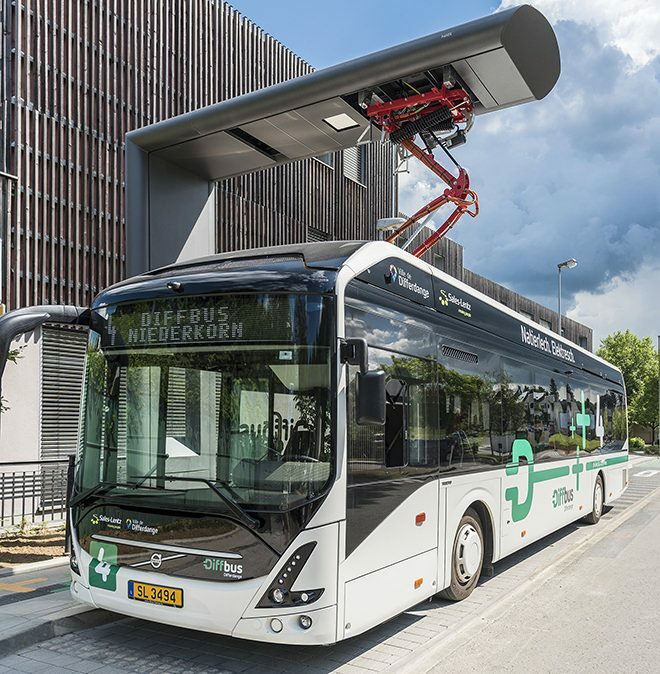 The Dutch Volvo 7900 e-buses will use four fast-charging stations from ABB. They will use an open interface, OppCharge, allowing other e-buses access. Volvo worked hard to get the efficiency of its e-buses to about 80%. The e-buses are a turnkey platform, with Volvo in charge of all vehicle maintenance. Volvo recently announced the sale of 23 electric buses to Leiden in the Netherlands and another 17 to Oslo. Volvo has now sold electric buses to Britain, Denmark, Luxemburg, the Netherlands, Norway, Poland, Singapore and Sweden. In addition to the all-electric Volvo 7900 Electric the Volvo Buses range of electrified vehicles encompasses hybrid buses and electric hybrids (plug-in hybrids). All told Volvo has sold more than 4000 electrified buses globally. The buses have a battery capacity of 200 kWh. They will be charged via CCS charger in the depot. Energy consumption for Volvo’s electric buses is about 80 per cent lower than for corresponding diesel models.